The Green Tent is taking this Sunday off. We're pleased to welcome Peels2Meals to our spot. 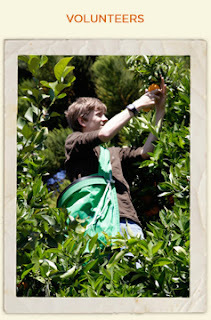 Program founder Heidi's vision is the co-creation of a more and more and more eco-harmonious present-day way of life. 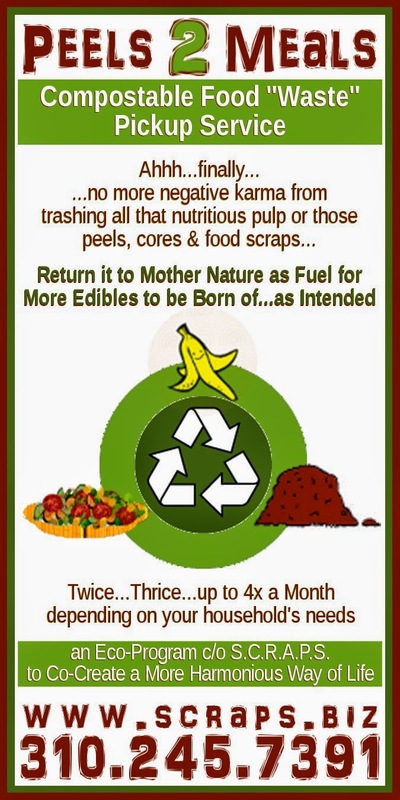 Stop by and learn about Peels2Meals compostables pickup service - taking compostables (peels, cores, pulp, food scraps, coffee grounds...) from your home to compost to gardens. Heidi will have worms at the booth so kids and adults alike can stop by and connect with their vital and masterful Mother Earth tending wormships. REMEMBER TO FALL BACK - Daylight Savings Time ends. Your friendly UCCE/LA County Master Gardeners want to see what you are growing! If you’ve ever gotten plants or seeds from them at the Green Tent, post a picture of them in your garden on social media with the hashtag #mglaseeds so they can follow your progress. On Sunday, October 25 from 9 am to 1 pm, you could be starting your winter garden with these lovely plants, available free at The Green Tent (till they’re gone – but don’t worry, there are plenty of seeds to give away, too). 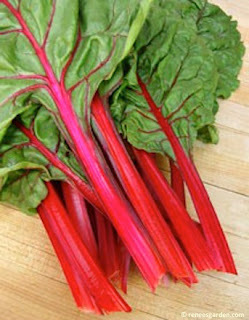 Scarlet Charlotte Chard (say THAT three times fast!) A new variety developed by Renee’s Seeds, it’s got crunchy stalks, gorgeous magenta veins and bright green leaves. 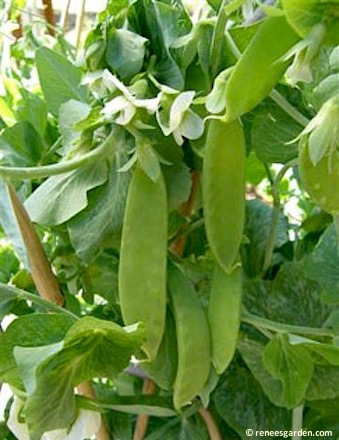 Oregon Giant SNOW Peas will enhance any stir fry or just eat them raw, pods and all, in a winter salad or as a standalone snack. Super Sugar SNAP Peas are like dessert in a vegetable, yummy on their own, delightful when blanched and dressed in sesame oil or garlic. Pods are edible. A much better crunchy snack than Cheetos! 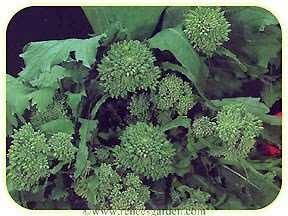 Beira Portuguese Kale is tender, sweet, heat tolerant and they say it’s easy to grow. You already know it’s good for you. Super Rapini aka Broccoli Raab robust, rich tasting Italian heirloom with deep green leaves and tender shoots with tiny flower clusters, great sautéed and in pasta. Slow Bolt Cilantro provides the essential ingredient for both salsa and southeast Asian cooking. Wine Country Mesclun Salad Mix combines 8 different sweet red and green plus tangy lettuces for the perfect blend. For the adventurous, separate them into individual plants and you’ll be growing salad for a long time. Don’t forget to share your gardening events with here and sign up for the email newsletter from Yvonne Savio, retired director of the LA County Master Gardeners. You’ll get great monthly garden tips and interesting articles, too. And if you’re bugged by pests, check out this invaluable resource for home, farm and garden: UC Statewide Integrated Pest Management Program. Don’t forget to drop off your plastic six packs to provide a home for next month’s plants! you can even roast the seeds for a delicious snack! 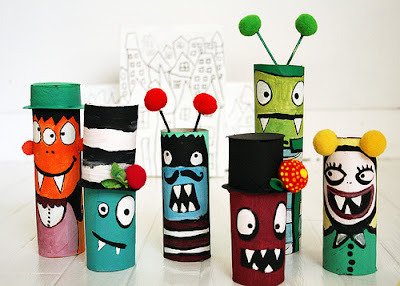 Stop by The Green Tent this Sunday for many more eco-Halloween ideas. Bring the kids! We'll be making toilet paper roll ghosts. 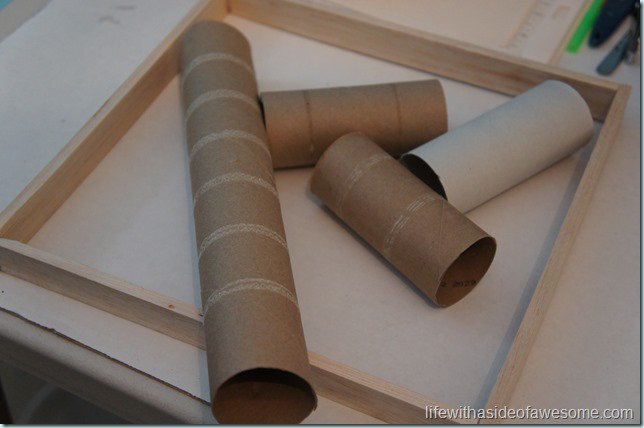 If you have toilet paper rolls or other craft supplies to donate, please bring them by. We'll pass on any unused materials to the reDiscover Center. This Sunday is Zero Waste Day at the Green Tent. From 9:00 a.m - 2:00 p.m. we'll be collecting toilet paper and paper towel rolls, CDs, and unused wrapping paper to pass on to the reDiscover Center. reDiscover promotes resource conservation, creativity, and community engagement through material reuse. You can also drop off your used batteries; we'll dispose of them properly. Food Forward will be at the Tent 10:00 a.m - 2:00 p.m collecting your excess home grown produce to help feed the hungry. Drop your homegrown harvests off at the Green Tent on Sunday, October 10th to ensure fresh food goes to those in need in the community! Food Forward will be accepting donations of garden produce and backyard fruit from 10 am - 2 pm. This nutritious fare goes to St. Joseph Center and New Life Society, agencies that directly serve those in need in the community and you will receive a tax deductible receipt for your in-kind donation. Food Forward not only battles hunger in Southern California but also works to curb the environmental issue of food waste. Recent studies have shown that 40% of the food in the country never makes it to the table and 20% of what goes into municipal landfills is food. Southern California is an abundant land of agriculture and donating surplus food to the 1.28 million food insecure in LA county is a win-win! Food Forward is at the Green Tent every second Sunday of the month so mark your calendars! For more information about donating your homegrown produce to the Backyard Harvest Food Drive, please email volunteer@foodforward.org. 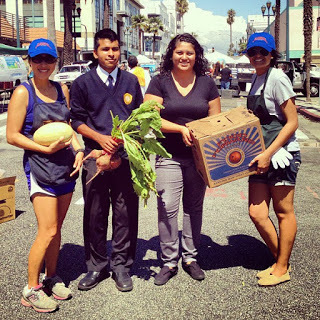 Food Forward is a Southern California based non-profit that recovers produce from backyard fruit trees, farmers markets and LA's downtown wholesale market and then donates 100% of what is collected to local hunger relief agencies.